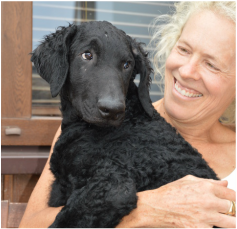 The Curly Coated Retriever is an athletic, active dog with a glorious curly, low-maintenance coat. They were originally bred to hunt both upland game and waterfowl. A Curly Coated Retriever makes an excellent family dog who is intelligent and loyal. Say hello to the gentlemen! Total focus when its time to work. 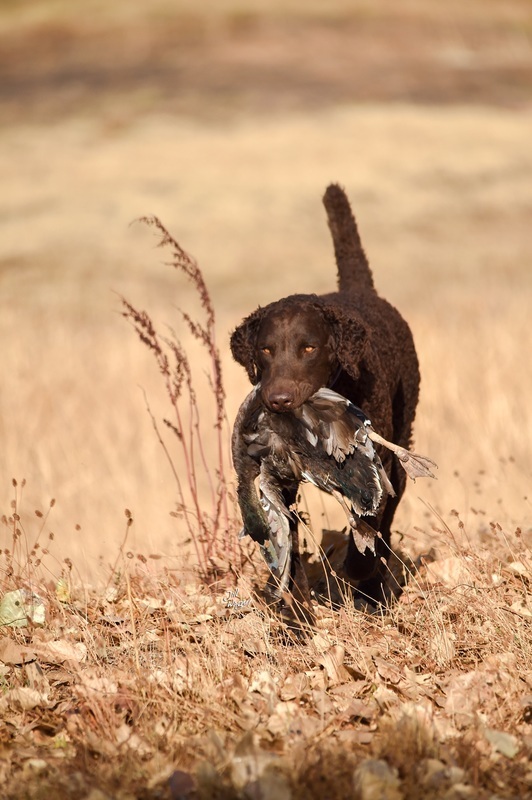 The Curly Coated Retriever is the oldest of the retriever breeds. Its name says a lot about the dog. 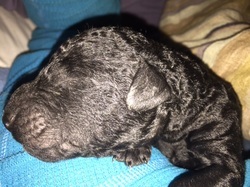 It has a glorious low-maintenance curly coat that comes in black and brown (liver). 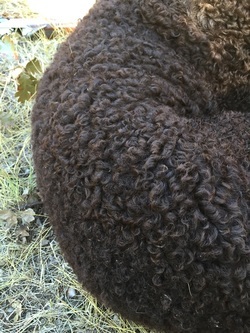 A curly does shed but the coat never grows longer than two or three cm in length and therefore never needs any formal grooming. A good coat is a dream to put your hands through. This makes them a pleasure to cuddle with and they love to spend the evening in your lap in front of the TV if you let them. But don't let their indoor laziness fool you. Once outside, they are high energy and full of playful exuberance. As they get older, they can become very serious working dogs. Its all about teamwork for these beautiful and rare retrievers.